Flower shop display with many shelves is painted in glossy white. Hot news! Newest flower shop display mall kiosk is coming. 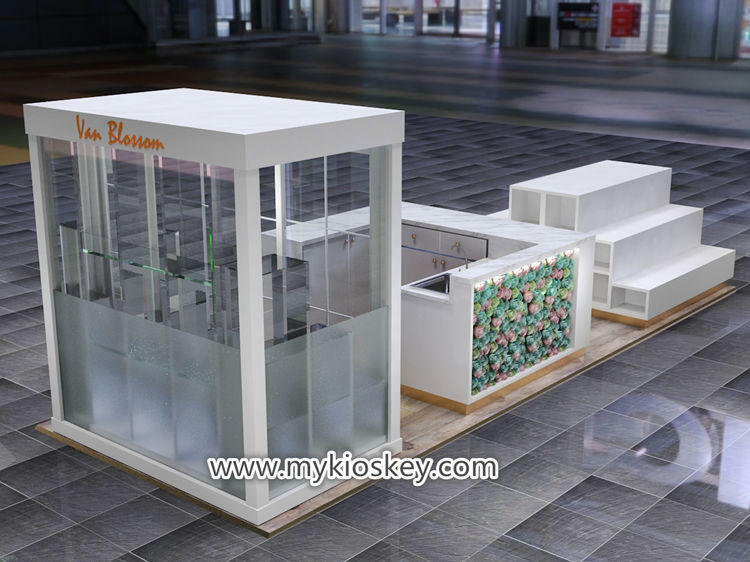 Firstly,let me show nice 3D MAX design for your reference.In order to show betterly, our designer put kiosk design in mall, means the real kiosk will be like this, very beautiful. Basic information for the flower shop display. 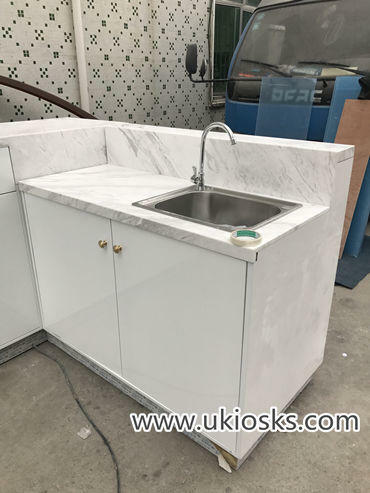 Main material: plywood, MDF, tempered glass, metal steel. Surface finish: baking paint, aluminum plastic composite panel. 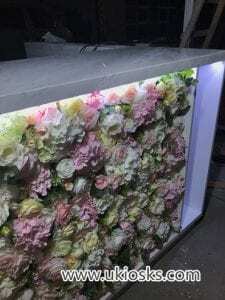 For this flower kiosk, it is divided into three parts, they are display shelves stand, receiption desk with work counter and greenhouse. It has enough area for displaying various flowers. 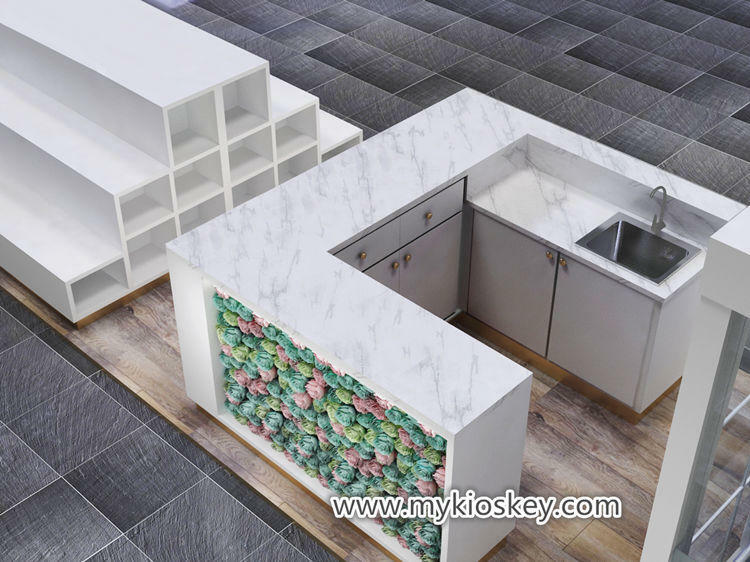 Classical wood floor,elegent stone countertop and beautiful fake flowers added many unique features for the kiosk. And one other feature is skirt toe, it is made of stainless steel with surfaced in gold plated. Enclosed some real photos of the flower shop display. strictly refer design to make the flower kiosk. Like sink, LED lights and logo, if need, we will provide and install before shipment. 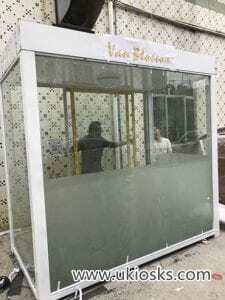 Contact us at any time if you want to open one flower mall shop or flower kiosk. Contact us freely.